Treatment for alcoholism is not just for the insured and the wealthy, there are options for those with little or no money……. Being treated for alcohol dependence can be an expensive business. The average cost of a rehab facility is between 8 and 10 thousand dollars a month and this is just the average. Those of us, and we are in the majority, who are not wealthy or insured have no hope in hell of getting into one of these private treatment centers. So what are we to do? 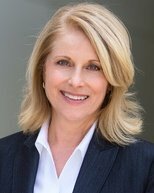 Are we able to access free or nearly free alcoholism treatment or must we suffer at the hands of a society that discards alcohol dependents who are unable to pay for treatment? Whatever anyone tells you, there is no such thing as completely free alcoholism treatment. There will always be a financial cost, however small. Even if you go down the Alcoholics Anonymous route of recovery, you will still end up paying for books, travel and so on. However, in relative terms (compared to treatment centers, that is) the options we list below are ‘free’. Alcoholics anonymous and the 12 steps has been going strong for 80 years, the reason being that it works for many people and best of all, it’s absolutely free. Having just said that it's absolutely free I am now going to contradict myself. In the early stages of stopping drinking (the first week or so) you will need medical supervision and possibly medication to get through the withdrawal symptoms associated with alcohol cessation, both may well cost you money. At AA meetings participants are asked for donations but these are purely on a voluntary basis. 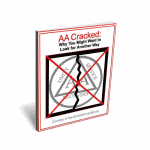 For more on Alcoholics Anonymous read our pages on AA. Despite its popularity, AA is not for everyone. Some find it difficult to cope with the spiritual aspect of the 12 steps method; others find the rigidity and practices of the group uncomfortable. This has meant that over the years alternative support groups have appeared mainly espousing a non-spiritual approach to recovery from alcoholism. There are also support groups for Christians, women, lesbians/homosexuals and so on. All of these groups are essentially free except for books and learning materials. For more on Non-AA support groups read our pages on Alternative Alcohol Treatment Programs. There are a multitude of programs and methods out there that purport to be able to help alcoholics deal with their drinking. Although not free treatments as such, you have to buy the book, program, plan etc., they are considerably cheaper than inpatient treatment. Unfortunately many of these methods are plain quackery and do not work. One method we have come across that we believe, and testimonies seem to bear this out, works (if you put the work in) is the system developed by Rahul Nag called How To Give Up Alcohol. This system outlines a method that can first help you to assess your drinking, decide on the drinking goal that you want to aim for(e.g. abstinence, controlled drinking, harm reduction) and then gives you the tools to achieve this goal. This is a wonderful resource but only for those who are truly committed to doing something about their drinking. Although this system is relatively expensive it is effective and far, far cheaper than inpatient treatment at a rehab center. The options above are all outpatient, this is what makes them ‘nearly’ free. There are, however, treatment centers, hostels, halfway houses and the like (inpatient treatment) that can also be accessed by those without funds. 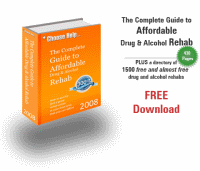 We are offering a free e-book entitled “The Guide To Free And Affordable Rehab” which lists all the free and affordable alcohol treatment centers throughout the United States. To get your free copy go to our Free Alcohol Rehab page. So as you can see from the above free alcoholism treatment is not beyond your reach, in fact in every city and town in the U.S there are free alcoholism treatment options open to those who want them. It is only a matter of knowing where to look.